Earlier today, just before Hollywood gets ready to shut down for the Thanksgiving holiday weekend, an intriguing report surfaced that claimed Warner Bros.' highly-anticipated Batgirl project would no longer have director Joss Whedon at the helm, but it seems that's not true. That report claimed Warner Bros. made the decision "months ago" not to bring Joss Whedon back for Batgirl, after the Justice League reshoots went on far too long, with a controversial letter written by the director's ex-wife reportedly playing a factor in the studio's "decision" to remove him from Batgirl. However, that initial report from a website dubbed Super Bro Movies has been taken down, while another report citing sources close to the production reveal Joss Whedon is still on board to direct Batgirl. The report stated that Joss Whedon is currently working on the script for this Batgirl movie and that he is still in fact attached to direct. Joss Whedon signed on to write and direct Batgirl back in late May, which will reportedly be based on the New 52 comics. There have been rumors that the title character has already been cast, but that was never confirmed from the studio or the director himself. The story will reportedly follow the "harder-edged" New 52 comics written by Gail Simone, and not the writer's 2014 comic series entitled Batgirl of Burnside, where Barbara was a social-media obsessed student living in a hipster part of Gotham City. While this news that Joss Whedon was leaving Batgirl isn't true right now, this report does add that "things could change," since directors leave projects in development all the time. Still, even if he does stay aboard throughout production, there are already a large cross-section of DC fans who would be more than happy to kick him off this movie, after a recent social media snafu. Shortly before Justice League opened last weekend, Joss Whedon came under fire after it was revealed that he liked a tweet bashing the Justice League villain Steppenwolf, claiming he was the "worst comic book movie villain of all time." There were even some fans who responded to this by suggesting he should be taken off of Batgirl, but it seems that won't happen quite yet. Aside from today's rumor, the last we heard about this project is that Batgirl will start shooting in 2018, which was confirmed by DC Films president Geoff Johns. Still, even if filming does in fact happen next year, Warner Bros. has yet to set a release date quite yet, which may be difficult to determine right now since Warner Bros. is developing so many other DCEU spin-offs like this. The studio is also moving forward with Gotham CIty Sirens, Suicide Squad 2, The Batman and a Harley Quinn vs. Joker movie, not to mention a second Justice League movie, The Flash, Cyborg, Green Lantern Corps, next year's Aquaman, which is in post-production, and Wonder Woman 2, which has been given a November 1, 2019 release date. 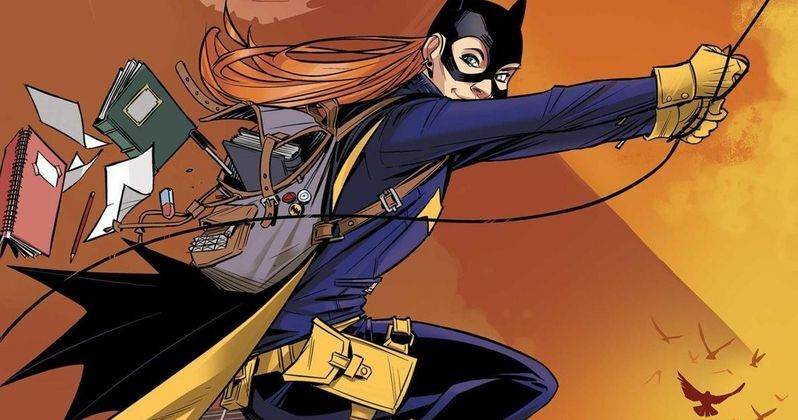 While it may be quite some time before the studio announces who is actually playing the title character, a report from early July revealed who the studio's Batgirl shortlist supposedly is. The rumor first spawned from a Reddit user, who claimed his friend was contracted by Warner Bros. to create concept art featuring nine different actresses as Batgirl, so the studio could make a surprise announcement of the Batgirl casting during San Diego Comic-Con, which never actually happened, likely rendering this shortlist inaccurate. Regardless, the actresses on said list were Elle Fanning, Olivia Cooke, Bella Thorne, Katherine Langford, Margaret Qualley, Jane Levy, Haley Lu Richardson and Naomi Scott. Entertainment Weekly debunked this Batgirl rumor earlier today.